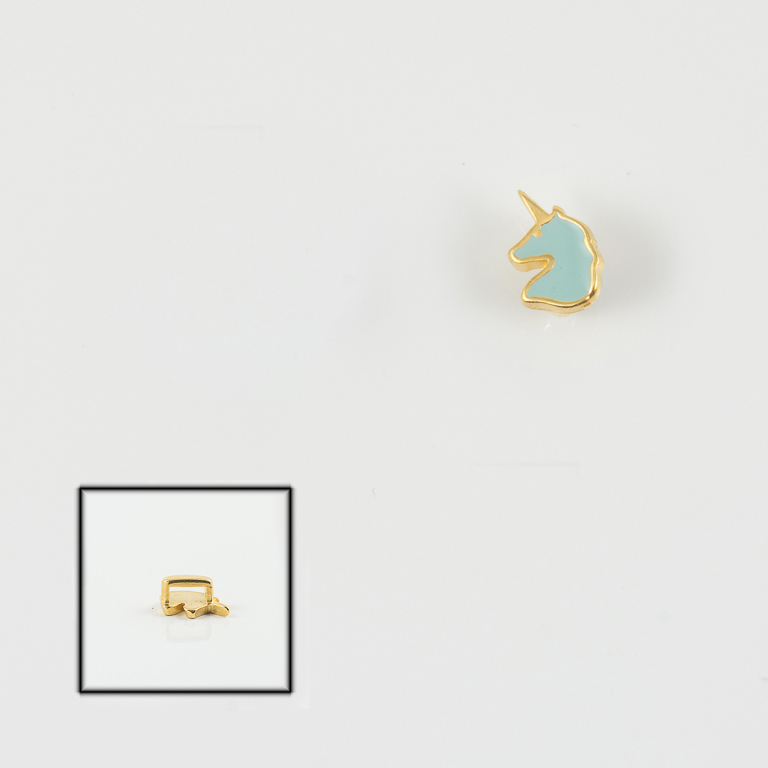 Metal unicorn in gold color painted with enamel in light blue color. Ideal for flat leather, flat rubber or lycra 5mm. Dimensions 10x8mm.